Stacey Harmon: "Why Michael Hyatt is Wrong about Organizing Evernote with Tags" | Evernote Blog Stacey Harmon: "Why Michael Hyatt is Wrong about Organizing Evernote with Tags"
If you’ve been following Evernote’s blog and Medium publication for any length of time, you know that we don’t prescribe a “best” way to organize your notes. Part of Evernote’s strength lies in its flexibility—offering you multiple techniques for keeping your life on track. Over the years a lively debate has sprung up between advocates of notebook-based organization and fans of tagging individual notes. We’ve often shared the viewpoint of Michael Hyatt, an outspoken proponent of tags. Now, Evernote Certified Consultant Stacey Harmon makes the case for notebooks. Who’s right? That, dear reader, is up to you. In my years as an Evernote consultant, it has been many times that I’ve seen Michael Hyatt’s blog post, How I Organize Evernote, linked to online and discussed on social media as the de-facto solution for how to organize Evernote. In his post, Michael goes into detail about how he organizes his Evernote account. He uses only four notebooks in his entire account, and the rest of his organization is based on a fairly complex system of tagging, so he can retrieve notes once he’s created them. The problem is… tags aren’t the only way to organize Evernote. Yet, the visibility and success of Michael Hyatt often makes it seem to many like tags are the “right” way to organize Evernote. 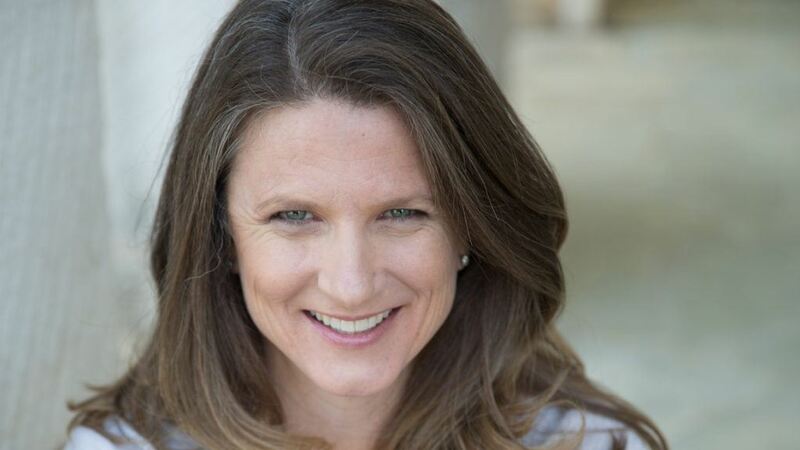 Despite my admiration for Michael Hyatt (I’m a fan! ), I disagree with his perspective on organizing Evernote. Tags are one way to organize Evernote, but for me, they aren’t the right way. The right way for me — as well as the vast majority of the people I have coached over my years as an Evernote consultant — is by using notebooks and stacks as the primary organizing blocks of Evernote, with tags being used not as an organizational tool, but a find feature in Evernote. In this post, I give my perspective on why using tags to organize your Evernote account isn’t practical, present some advice on what you should you do instead, and give some examples of how using tags might be useful in very specific circumstances. What’s Wrong with Using Tags to Organize Evernote? I believe there are several major disadvantages to using tags to organize your Evernote account. Tags display differently, depending on which device you’re on. If you’re on your desktop, you can nest tags on the desktop to provide some visual organization, but those nested tags won’t display in the Evernote app on your iPhone. Instead, on your mobile device, you’ll see an alphabetical list of all your tags, nullifying any advantage you have to the desktop organization of your tags. And, this will be a big hindrance for retrieving information from your mobile device via tags. I coach people that the Evernote mobile app is best used for capturing and retrieving information, not organizing it (this is best saved for the desktop app). So why would you organize your data in a way that isn’t supported on the mobile device? You are putting yourself at a disadvantage to find what you need, right out of the gate. If you’re using tags as the sole organizational system for your Evernote account, it’s incredibly easy to mess up and forget to add a tag (or a few tags, if you’re using a complex tagging system). That means one small error could cause trouble. One of the biggest fears of new Evernote users is that their notes will “get lost” – meaning their notes will fall through the cracks and become unfindable. Given that fear, why would you create an Evernote organizational system that’s so fragile? Relying on notebooks to organize your notes makes your system considerably more hardy and less susceptible to failure when you make tiny mistakes (which you inevitably will). Because you can create tags so easily, it’s easy for your list of tags to get completely out of hand. Yes, you can create 100,000 tags – but do you really want to? A tag-based system of organizing your organization simply isn’t scalable once you start putting your entire life into Evernote (as I have). This is another point that Tiago eloquently made in his post that I totally agree with: Humans suffer from memory fatigue. When you use tags to organize your Evernote account, you need to remember every single tag you’ve ever used, including how each tag is punctuated and spelled. This may not seem daunting when you’re at the beginning of your Evernote journey, and you’ve only created 10 tags, but after you’ve used Evernote for years, your tag list may grow into the thousands. Can you remember that many tags, and use them perfectly? No human can. You also can’t rely on Evernote’s autofill feature to jog your memory. The autofill feature doesn’t work on all devices, so if you’re using autofill on your phone, you’re out of luck. A tag-based organization in Evernote can completely fall apart when you start collaborating and sharing your information with collaborators. You can’t share a group of notes with someone that is based on tags. If I wanted to share a group of notes tagged “Social Media” with my assistant, it wouldn’t be possible. You can share a notebook with others. You can share a note or several notes with others. But you can’t share a group of notes that all share the same tag. This is a point that I haven’t seen in previous discussions about Evernote organization, and it’s a major disadvantage to organizing by tags. Most people use Evernote for their own personal organization, but they don’t share their notes and notebooks with friends, family members, and colleagues – and that’s a huge missed opportunity. It’s one of the major ways people underutilize Evernote. There’s another problem with collaboration and tags: When you share a notebook with others, your tags will appear in that person’s account. See the example below. This is not my tag (“Stacey Harmon Sales Page – Radical Productivity with Evernote”), but this note is in one of my shared notebooks, so the tag appears in my account because one of my collaborators created it. Sharing and collaborating is one of the biggest reasons I love using Evernote, so for me, these problems are one of the most compelling arguments for not using a tag-based system. I use notebooks and stacks to organize my information and provide visual structure to my account. Stacks are key to keeping my notebook structure visually clutter free, collapsing my nearly 250 notebooks down to 8 tidy stacks. I have my notebook/stack list displayed on the left hand sidebar on the desktop app to act as a visual roadmap to my data. I drag key notes, notebooks, and searches to the shortcuts area of Evernote for quick access to my most frequently accessed data. I often prep my notes so I can find them later in search. That means I work to give each note a meaningful title, and add searchable keywords to the body of the note if necessary. Advantage #1: You can use the search function to find anything, and it’s nearly instant. When you stop relying on tags, you’ll start using the search function to find what you need. This is exactly what I do, and I can find whatever I seek in Evernote in just a few seconds….even with 26,000+ notes in my account. There are many ways to search in Evernote. You simply need to know how to search correctly, and become a bit more fluent in search techniques, and you’ll be able to retrieve anything. If a word or phrase is somewhere in Evernote (including in note titles, notebook titles, the text of the note, in your images and documents within a note, or in your handwriting on a scanned note) Evernote search will be able to find it for you. Advantage #2: A notebook-based organizational system makes things easier and faster to find. When you organize your account with notebooks and stacks, you’ll have natural groupings to your data, most of which your brain will remember (just like when you had lots of manilla folders and you knew that the meeting notes were in a particular project folder). And, your brain can often instantly see the notebook you are looking for when scanning your notebook list on the left-hand sidebar, or typing a few characters in the notebook search field from your mobile device. This provides you the option to go right to your data as your brain knows which notebook holds what you are looking for. 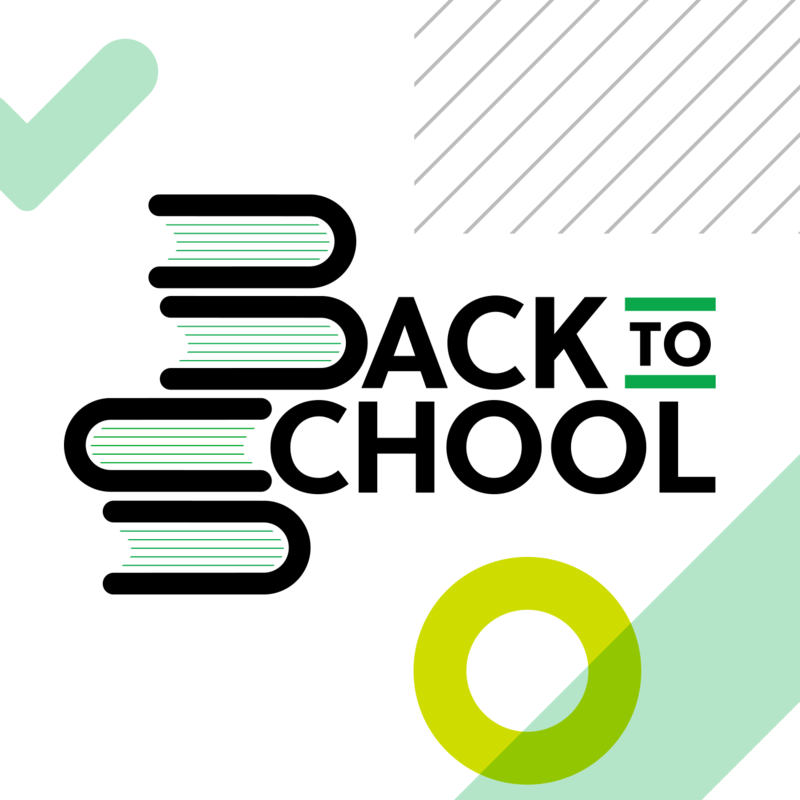 A notebook based approach also benefits you when you navigate Evernote using advanced functions such as “Jump to” which bring up a note and notebook list that can be filtered with a few keystrokes, and more often than not, brings you directly to the exact note you are seeking. And, should either of these approaches fail you, the full power of Evernote search will uncover what you seek. Because search is so powerful, it is possible to simply create a system of notebooks and stacks that makes sense for your workflow, start adding notes, and rely on the search function to retrieve information. Advantage #3: Using notebooks works the same everywhere, on every device. No matter what device you’re using to access Evernote, your notes, notebooks, and stacks will display in the same organization as you see on other devices. There’s no need to worry about not being able to find something when you switch from your phone to your laptop, or vice versa. Michael Hyatt brought up a few problems associated with using notebooks in Evernote, and these are the main objections I hear from people who are currently using a tag-based system. Let’s address them, one at a time. The constraint of 250 notebooks for non-business accounts is true, but you can absolutely make 250 notebooks work for you – if you actively manage the notebooks you use. That means you’ll need to regularly review your account, and collapse (or consolidate) notebooks you’re no longer actively using. If you absolutely must have more notebooks, you can upgrade your Evernote subscription – you can have 5,000 notebooks with a Business account – but this isn’t essential or my recommended advice. Smaller constraints are actually better, and with fewer notebooks, you’ll be able to work more efficiently and will have a stop-gap in place to avoid any challenges associated with digital bloat. We’ve all been trained (through email, and computer technology) that the right way to organize things is to use hierarchies that are many levels deep – but it’s not necessarily the best way. If you’re using the search function correctly, it doesn’t matter if you can nest your notes and notebooks. The power of my Evernote organization system is its flatness and flexibility. If you prep your notes for search success (note naming conventions are key here), it doesn’t matter where your notes live – you’ll be able to locate them. This objection is really best addressed by creating a proper workflow that meets your needs for how you want to interact with your information, rather than addressing how the data is organized in Evernote. As stated, I advocate organizing the data in notebooks and stacks. If you’re prepping your notes for search success and you’re fluent in Evernote search, you can find anything you need at any time. It doesn’t matter that a note only exists in one notebook. When your workflow is clear, you can then deploy more advanced Evernote features such as note links (hyperlinks from one note to another) to create structure within your account and easily reference notes that are related, but live in other notebooks. I want to make it clear that I’m not anti-tags. I just think they are best used in workflow design vs. as the foundation of your Evernote organizational system. For most people, they should be used as a tool for finding things, rather than a tool for organizing your information. Tags can be useful as a find feature, so I recommend treating them like the icing on the cake when you’re setting up your Evernote account (instead of using them like the entire cake, as many people do). Collapsing or archiving notebooks. If you’re regularly managing your notebooks (see above), you can use tags to convert your Notebooks to tags when you’re no longer using them. Simply tag all the data in that Notebook, and put it into an Archive notebook. Pulling “dashboard” data from across multiple notebooks. For example, you could have a note in each client notebook called “Progress Report for ” and this note could be tagged as “Weekly Meeting”. This would allow you to pull all the progress reports from across your entire Evernote account if you wanted to review the status of all your client projects during a regular weekly meeting. Tracking status. Tags are best used when there is a limited number of set items to track. For example, movement of something from Active, to Pending, to Completed. Creating a static set of tags to represent the process and then updating the tag as the note moves through the process is an good use case for tags. Using third-party applications. 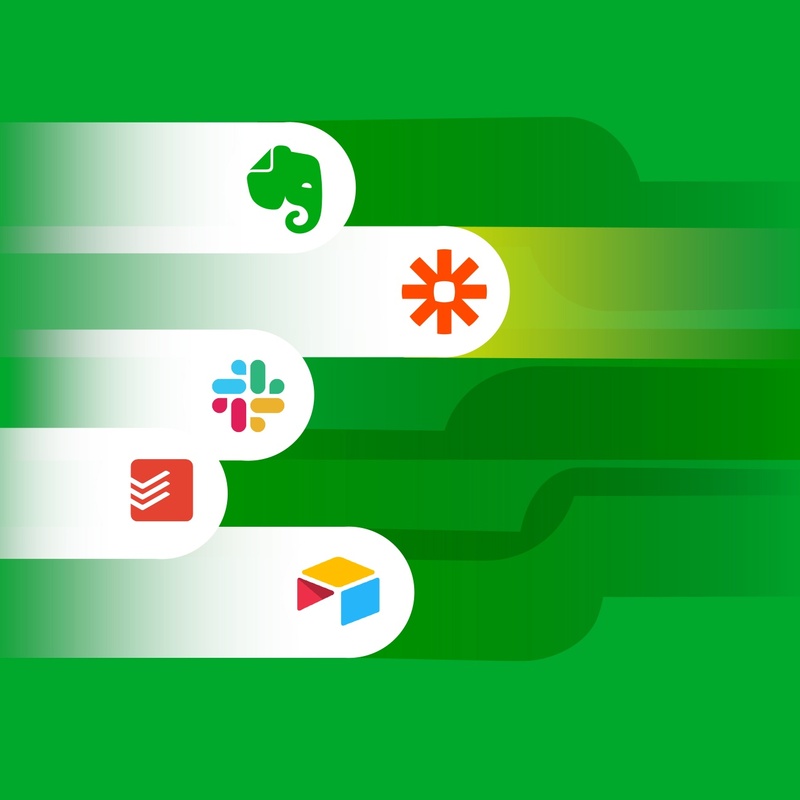 Evernote integrates beautifully with thousands of third-party platforms, and many of those applications use tagging as part of their integrations. For example, TaskClone uses tags to share tasks from Evernote directly into their app. Tags can be an important tool in the Evernote world, but overall I think basing your Evernote organization on a structured system of notebooks and stacks is an easier and more efficient way of being able to pull up any note you need, from any device, at any time. If you are interested in exactly how I organize my Evernote account using notebooks and stacks (not tags! ), check out my EverDone® Guide. In it, I detail out my personal system for using notes, notebooks, and stacks to deploy David Allen’s Getting Things Done productivity philosophy in Evernote. It’s a step-by-step system rooted on the organizational perspective I’ve described in this post. This post originally appeared on the Harmon Enterprises blog. Upgrade your notes with Evernote Premium. Focusing on your goals can be tough, especially around the holidays. 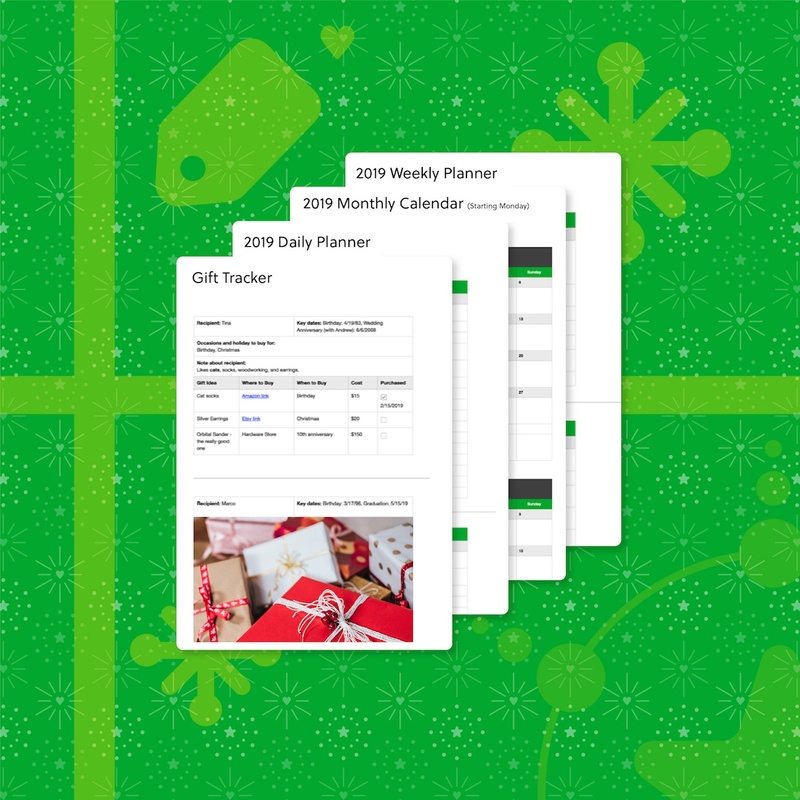 These templates will help you stay organized so you can start and end the year right. Set yourself up for success in the coming year with these tips.